These days Bath attracts people from all over the world – from people heading to study at the University, tourists seeking the famous spa waters and luxury hotels, and people who are looking to live in the beautiful and ancient city – Pritchards are a Bath estate agent and they have no shortage of people who want to live in this stunning part of England! The city of Bath is famous for– and gets its name from – the famous spring waters that are naturally found there. Nobody really knows when people first started to believe that the natural spring waters had health benefits, but certainly the first people to start to build a town around the spring were the Romans, who named the town Aquae Sulis. 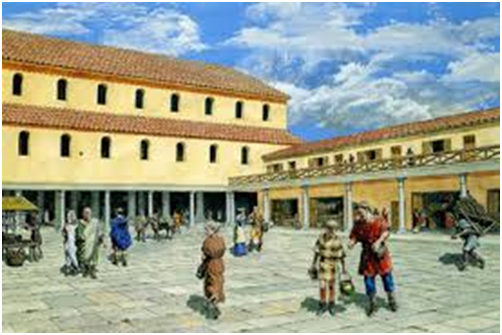 It was believed that the Romans first started work on the town around 60AD and for the next two centuries, the settlement began to grow. After the fall of the Roman Empire, Bath was invaded by the Saxons, who took over many of the Roman towns in England, and Bath became the place where the first King of England Edgar, was crowned in 973! The beautiful Bath Abbey was built in the early 12th Century, and in the story goes that the Bishop of Bath, Oliver King had a heavenly dream of angels, and believed that in 1499 he should rebuild Bath Abbey. Unfortunately, Henry VIII closed Bath Abbey in 1539, and sadly, most of the buildings were knocked down. The town then suffered more during the 17th Century, as many English towns did, when the Bubonic Plague swept the nation. Bath really started to resemble the town that we know today during the 18th Century. The fashionable and wealthy flocked to Bath in their droves to sample the waters from the spa, and it was during this period that the pump rooms were constructed. The summer season attracted the wealthiest of British society, and the grand Georgian buildings were built to accommodate these people. Social life for these people consisted of horse racing, games of cards and dancing. 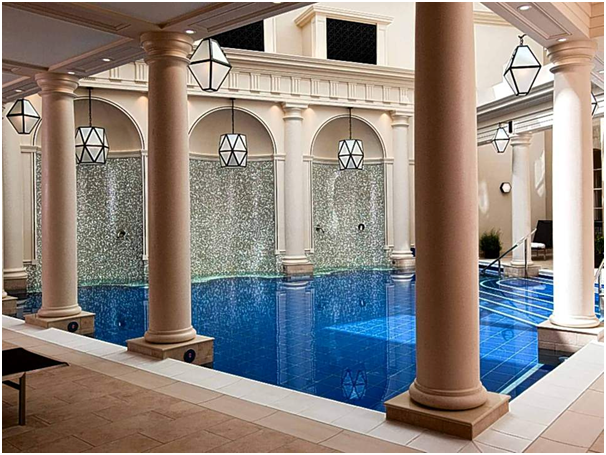 Bath has remained a town full of rich history, stunning architecture and of course the famous spa waters. It is still a town that mainly attracts tourists and shoppers, as it did centuries ago when the Romans first started to build the small market town of Aquae Sulis.